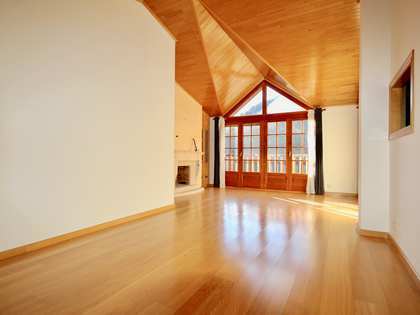 Upon entering we find a small but spacious hall that gives access to the 2, well differentiated areas of the property: on the right is the day area, and on the left is the night area. 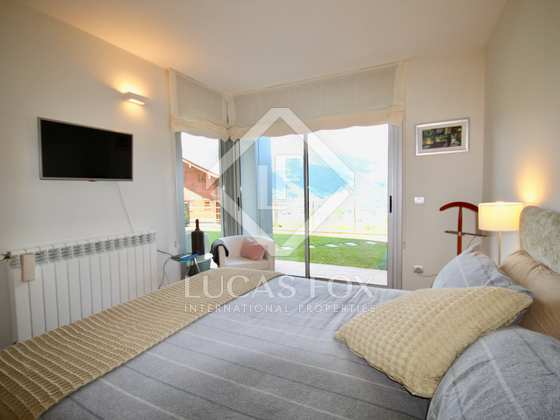 The day area consists of a spectacular living-dining room, which at first sight stands out for its spaciousness and its natural light thanks to the large windows, and at the same time it delights us with wonderful views of the mountains and the valley. 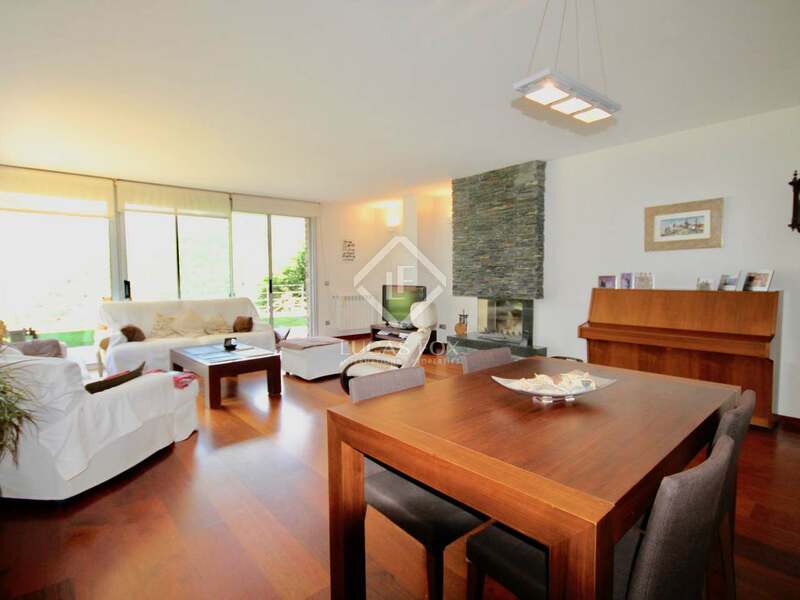 This room enjoys a modern fireplace and access to an impressive garden. 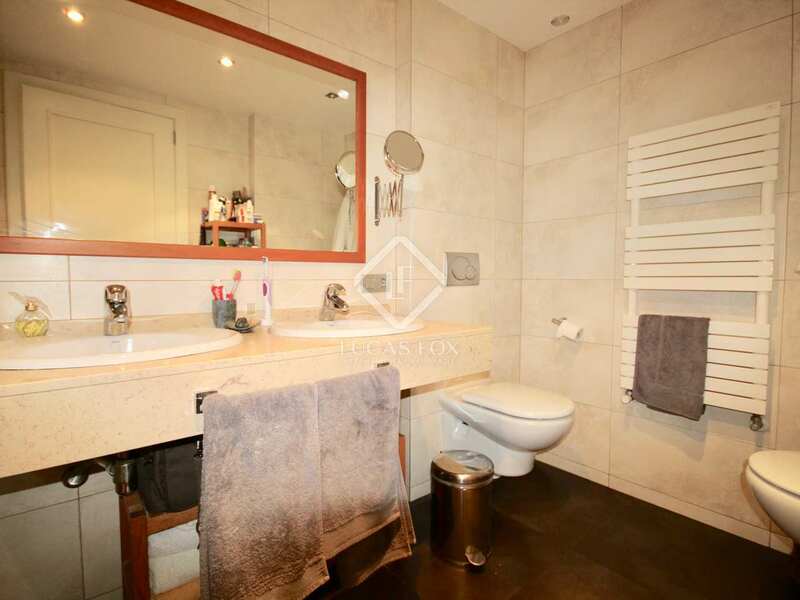 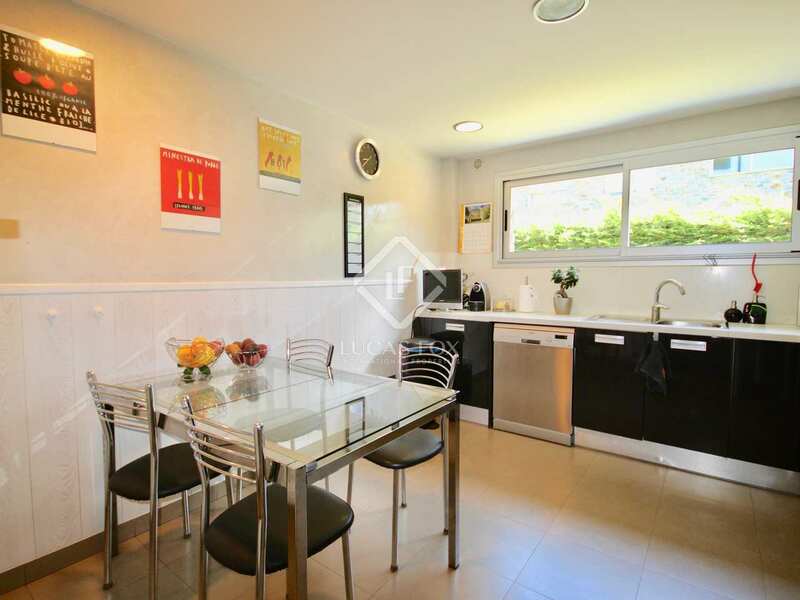 Next door is the cosy contemporary kitchen, which is fully equipped. 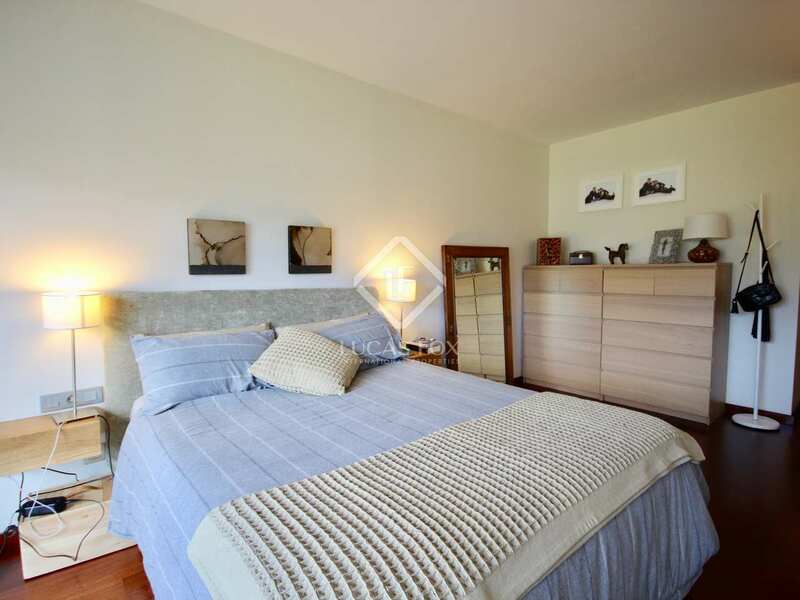 The sleeping area consists of 4 very spacious double bedrooms with fitted wardrobes. 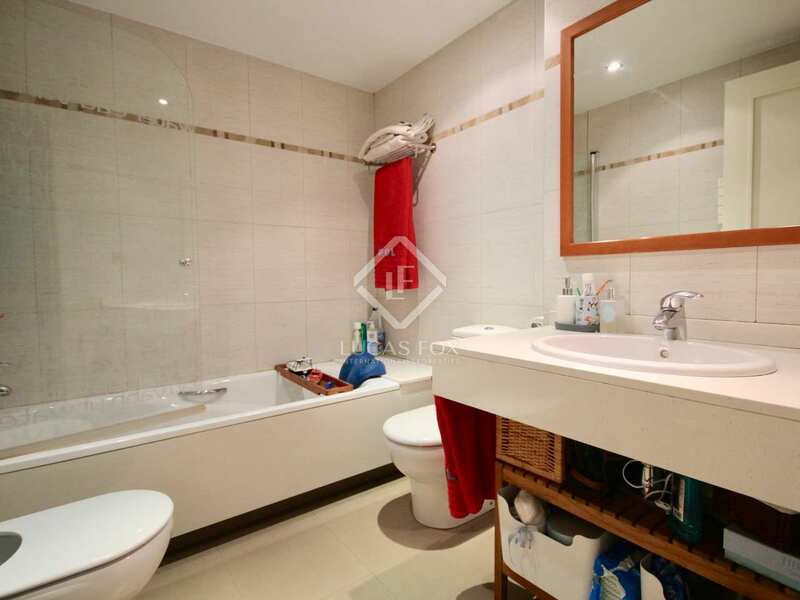 One of them has its own complete bathroom with a shower and direct access to the garden, while the other bedrooms share a bathroom with bathtub. 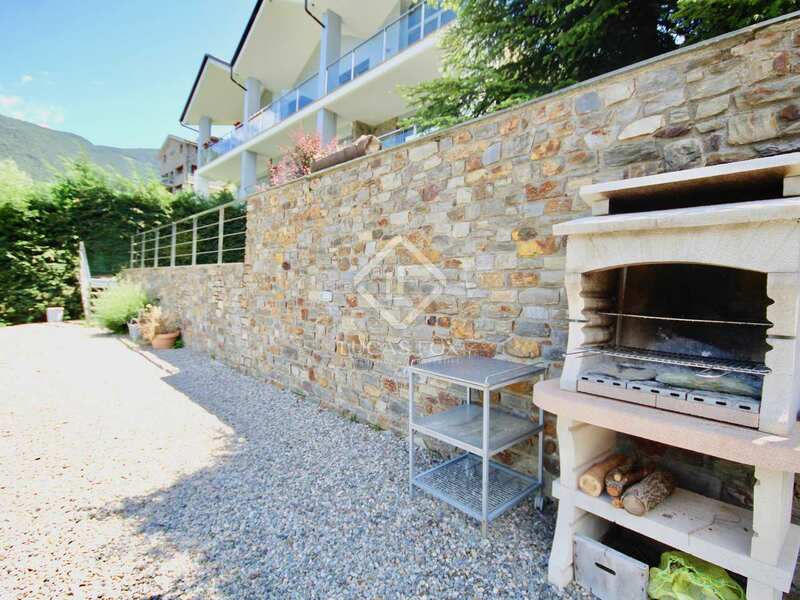 The large private garden of 250 m² surrounds the apartment and is distributed between two levels: the main garden, which is largest and at the same level as the apartment, and a smaller and private lower level with white stone flooring and a barbecue. 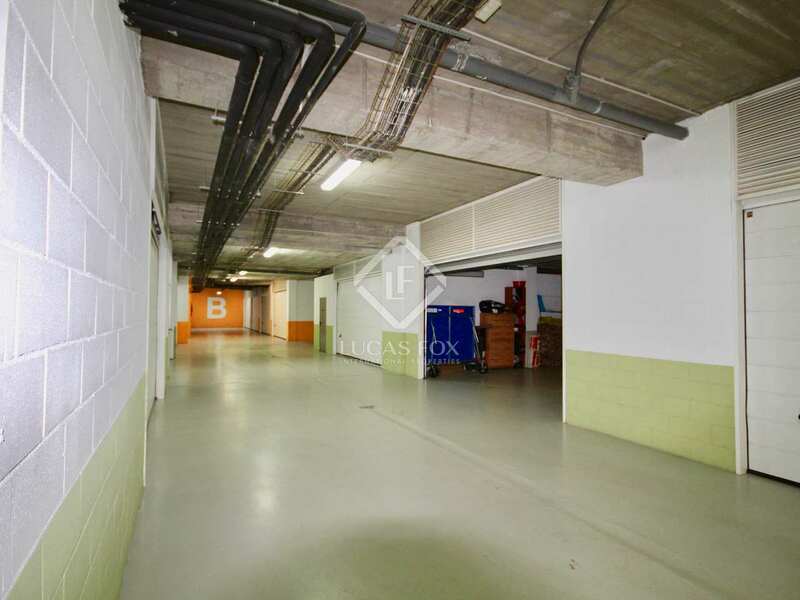 In addition, the apartment includes a large garage in the same building, with space for 4 vehicles. 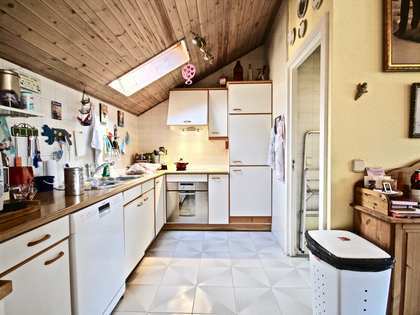 It can also be used as a storage room. 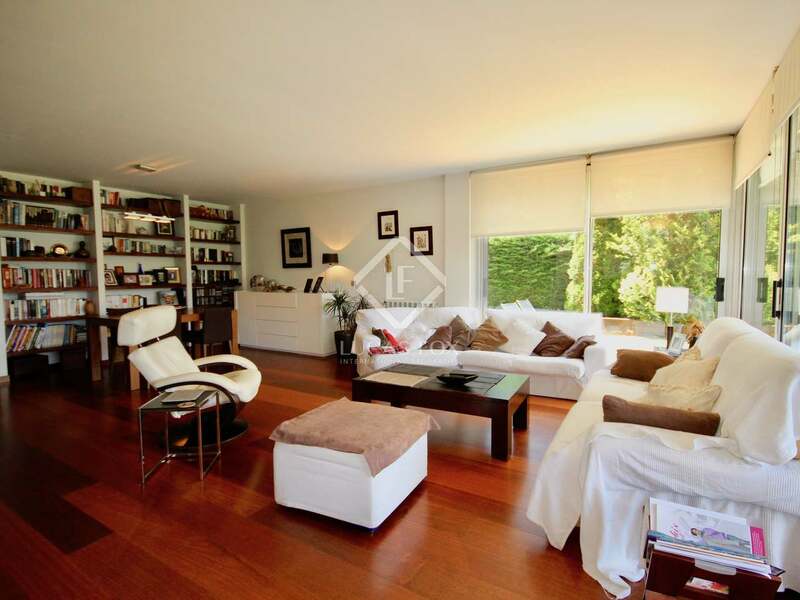 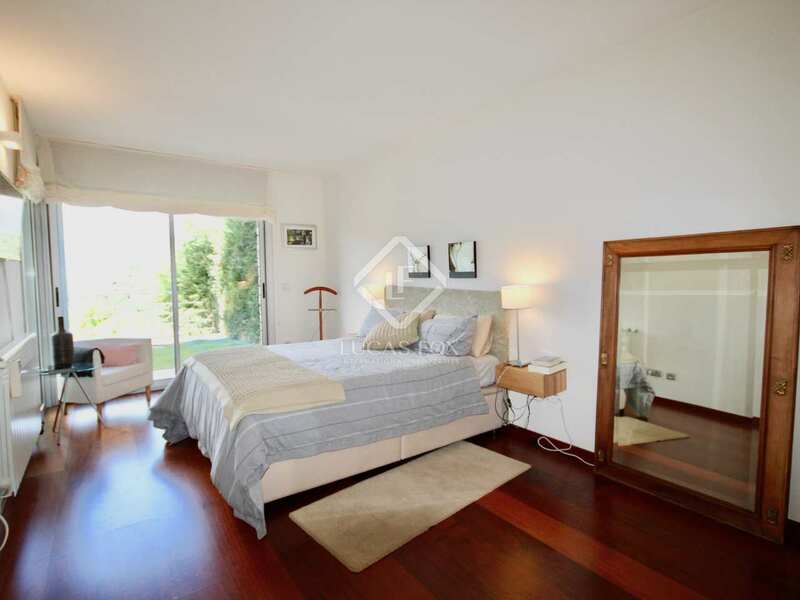 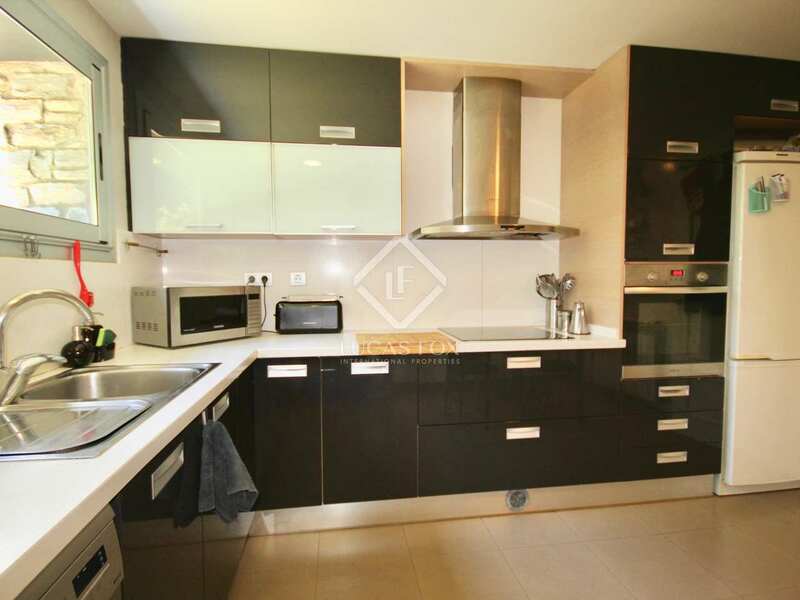 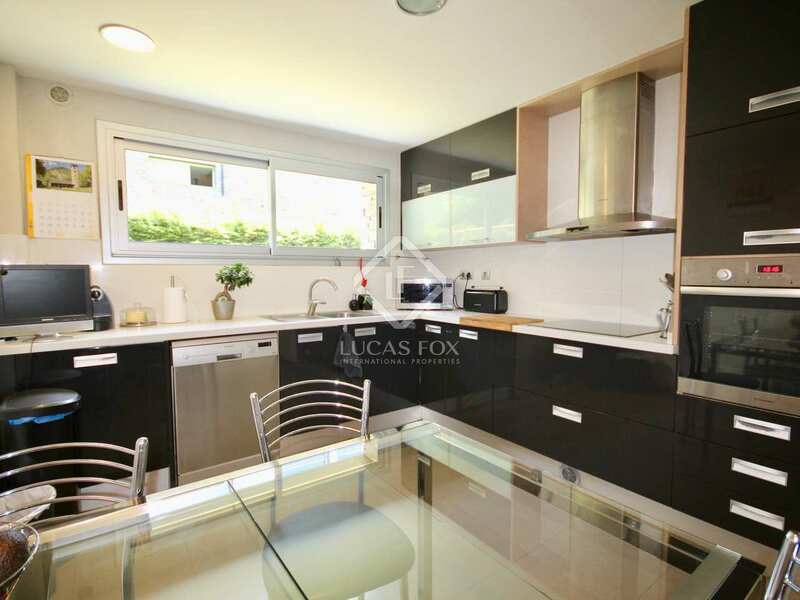 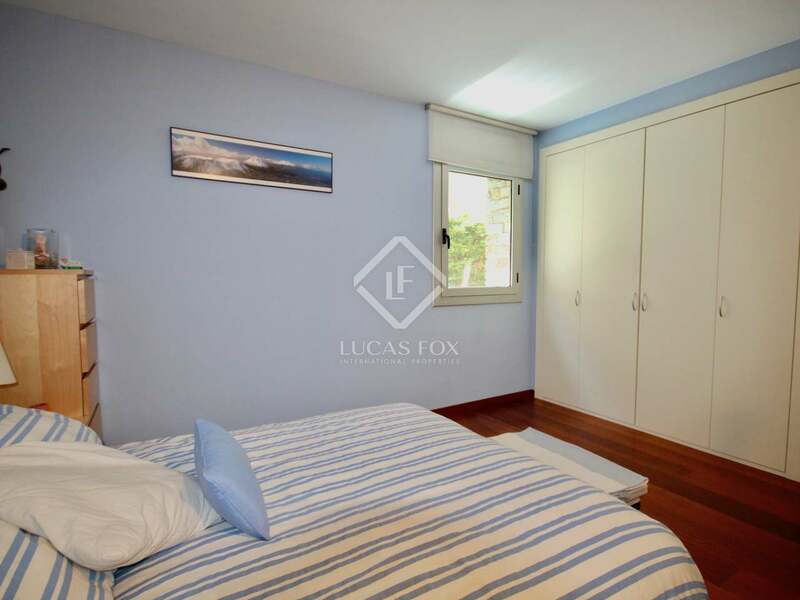 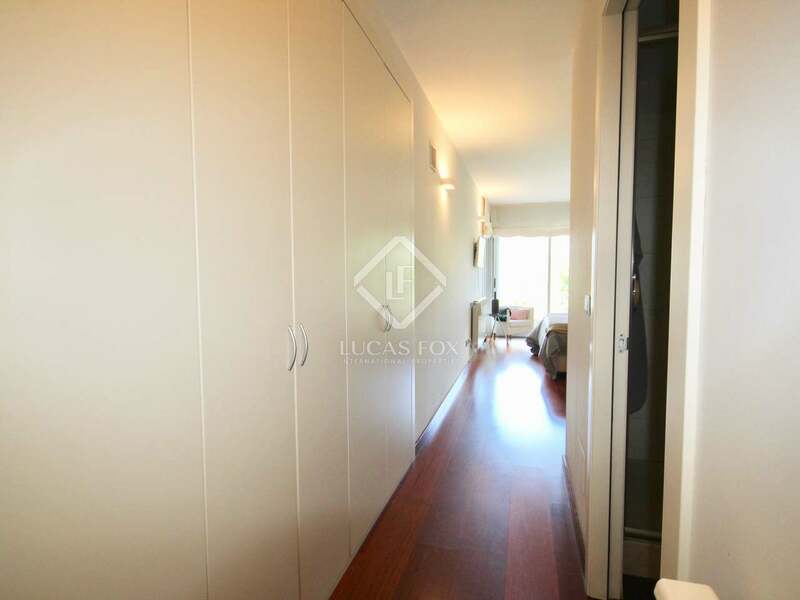 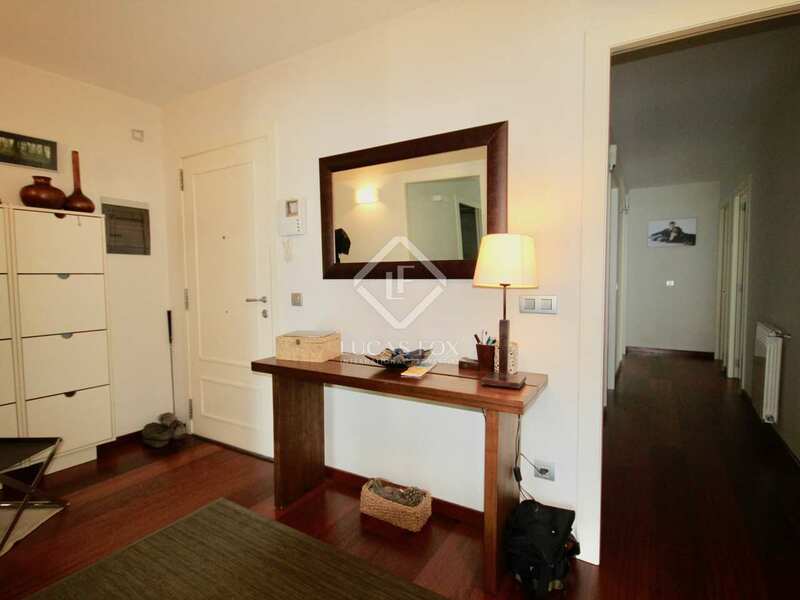 This apartment is located in the prestigious and quiet neighbourhood Els Oriosos, in the town of Anyós. 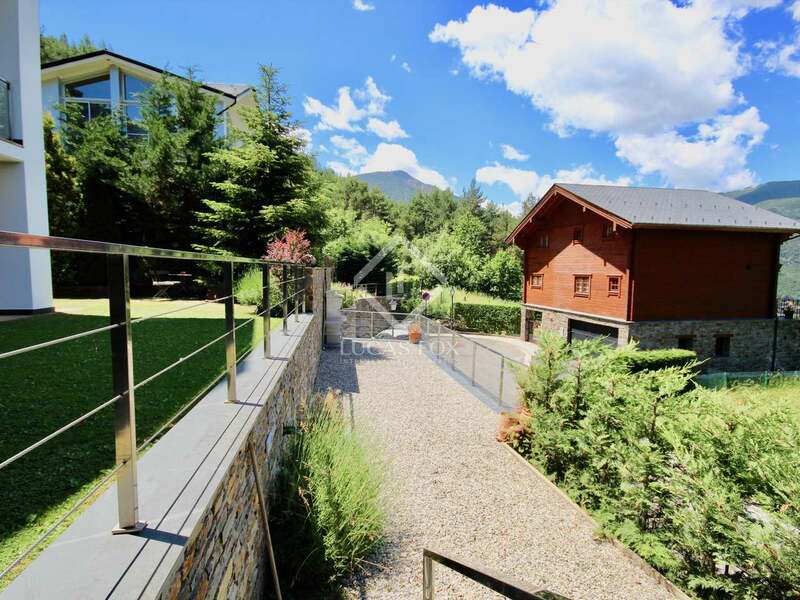 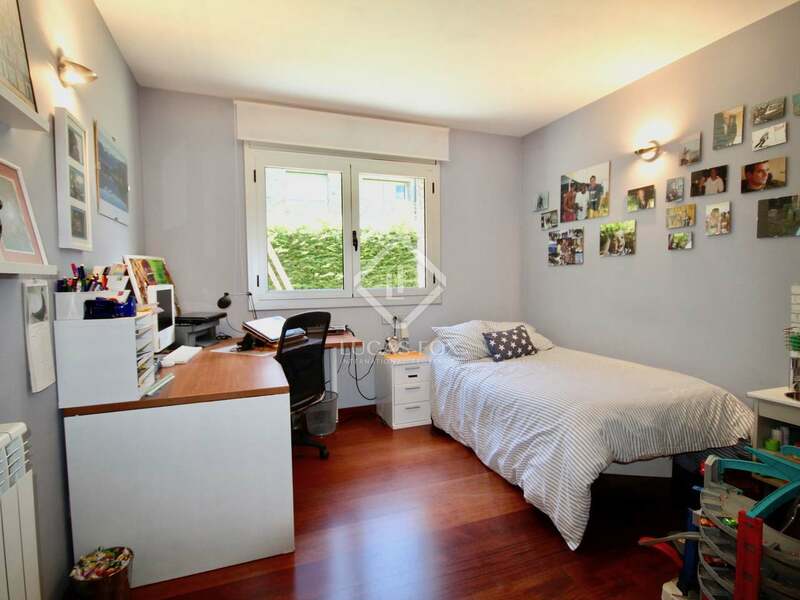 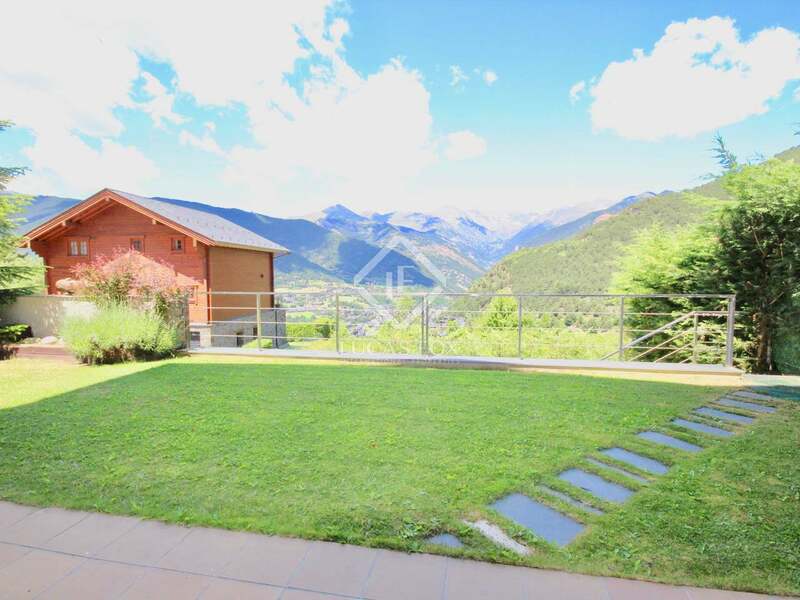 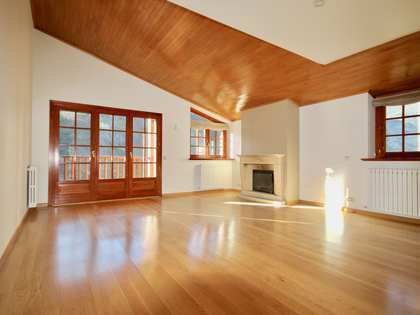 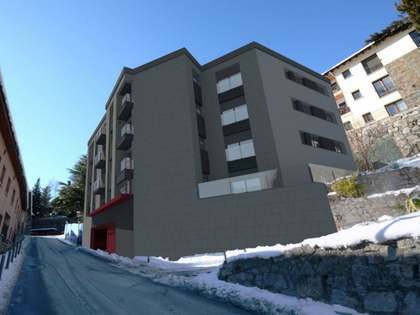 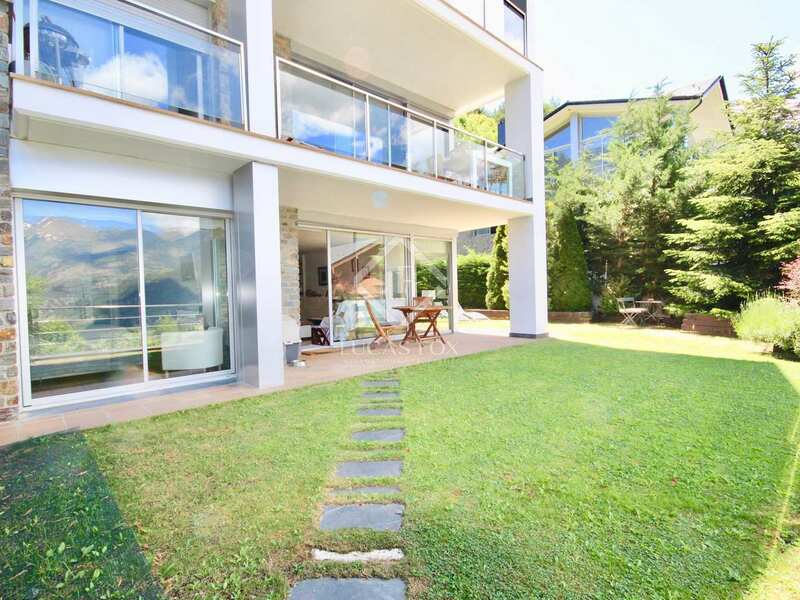 We can reach La Massana in just a few minutes by car, with all the necessary services for day to day living, such as restaurants, international schools, sports centres and access to the ski area of Vallnord. 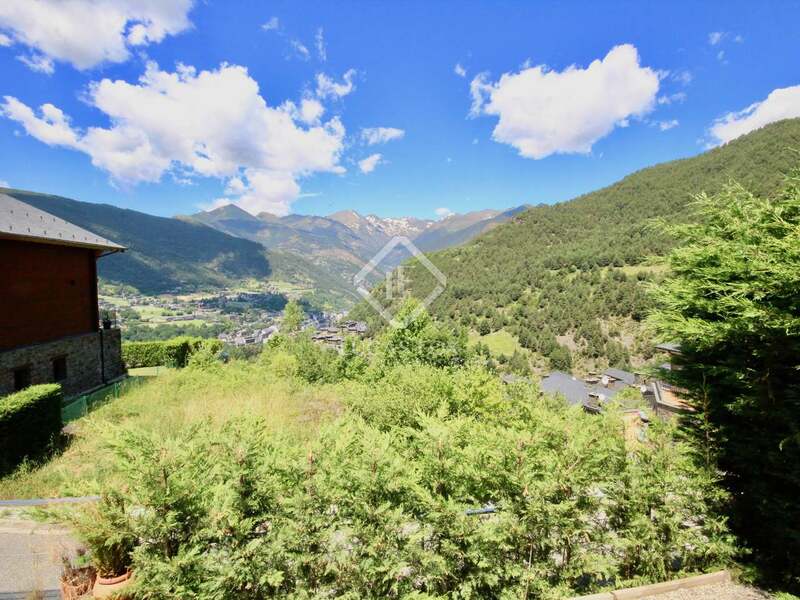 About 10 minutes away by car we reach the centre of Andorra la Vella.